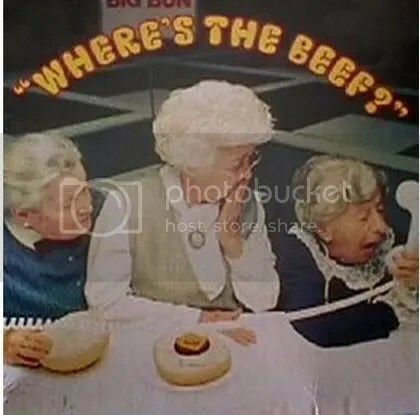 So what we have is a classic case of somebody making claims that do not necessarily hold up under reasonable scrutiny, much like Clara Peller wondering why her burger is not as big as the bun. This is a start but I wonder if it is compelling enough to overcome the IJ/IDPC campaign to obfuscate our real skills and knowledge in this regard. Certainly it does not provide unquestionable legal evidence that the IJ/IDPC claims is lacking. I tell my students that our obligation to design spaces that meet all applicable building, life safety and accessibility codes is as important as any aspect of the design process. Like death and taxes we cannot escape it and even if we could we, as professionals and humans, are ethically and morally obligated to create spaces that are safe, accessible to all and enhance the welfare of the occupants. But how do we prove it? How can we make every policy maker in the United States understand that the general public must be protected from unqualified interior designers that may actually put everybody’s HS&W at risk? Until that occurs the road to full practice regulation in all 50 states is going to be seemingly endless.